You don’t have to spend a fortune nowadays to pursue your 3d printing hobby right at your home. Thanks to the competition among 3D Printer manufacturers. 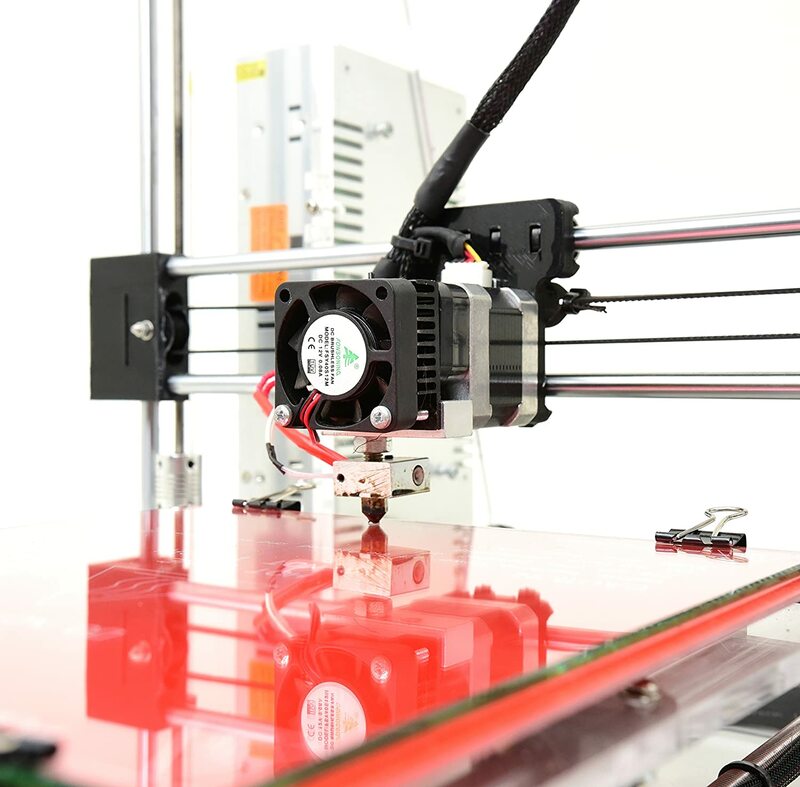 More and more 3D Printers are getting cheaper and sophisticated. RepRapGuru DIY RepRap Prusa I3 Kit is a quality product from RepRapGuru. No. It’s not another China company. RepRapGuru is the USA based manufacturer and popular for its exceptional after sales customer support. 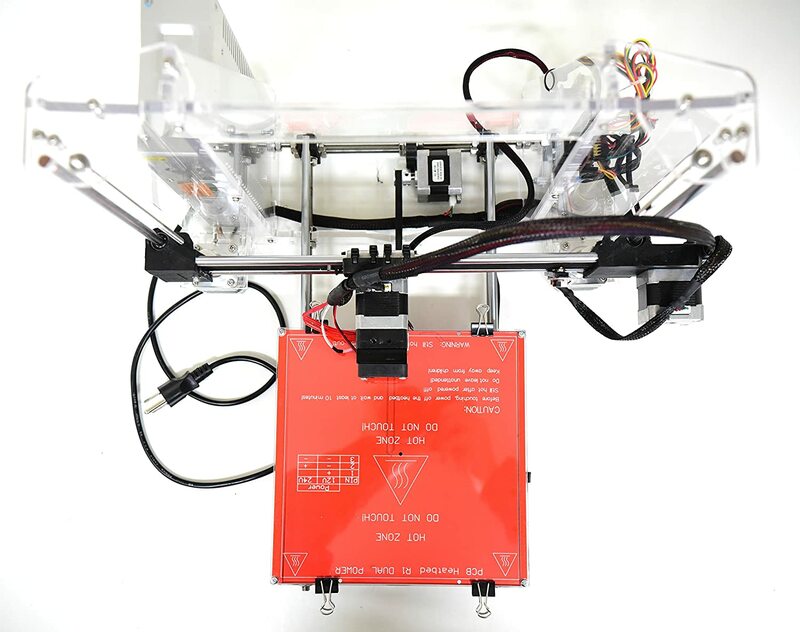 This device is RepRap Prusa(I3) clone and its DIY Kit. It is not Plug-n-Play type of model. You have to assemble it yourself when you buy it. RepRapGuru is confident that they are thoughtful in designing the kit. They claim they are careful in providing you all the parts, tools, and instructions. So that assembling this kit is a hassle free and an enjoyable experience for you. RepRapGuru DIY RepRap Prusa I3 is available in two variations. One is Black in color and another is Clear color version. Both are same in price and specifications. Black color version aesthetic in looks. Clear version has an advantage of see through the inner parts of the unit. This review refers to the Clear model. Read this review only if you are looking for the DIY Kit. If your choice is off-the-shelf one, you can navigate to the top Menu for other reviews. You can print 8″x8″x7″ size models with this unit. This size is suitable for most of your hobby projects. But, you might find it is smaller to that of other contenders. By design it is single Extruder – Mk8/9 model. It supports 1.75 mm size filament. You might be aware already that with single Extruder you can print single color objects only. You can upgrade in future, if you wish, with some modification including its firmware. Its Nozzle is a cone shaped 0.5mm tip which is standard with the other clone of printers. It supports only one Nozzle and therefore you can obviously expect only one single print with this Product. It is important to you find out the compatibility of filaments for your device. Some are PLA only and other are supportive of multiple types of filaments. You can use PLA and ABS filaments with this unit. If you are a beginner, it is better you try PLA first. PLA cools very fast and it sticks better to the heat bed. That means you can print faster using this filament. PLA is odorless and low-warp filament. It works quite efficiently even without a heated bed. Your printer needs to run hotter to print the object and adhere to hot bed when you are using ABS. Do you want to experiment with other filaments? Go ahead. But be ready to take some risk of Nozzle clogs. You can try Wood, PVA, TPE, NinaFlex and Nylon. No sample filament would be included with the package when you buy this 3D Printer. Remember to order sufficient filament and a spool mount. Check with Amazon for bundle offer which includes 3D Printer, Filament, and Spool Mount. Borosilicate Heated Bed Glass of 8″x8″ size is the highlight of this product. It is Dual Power capacity bed with 12V /24V. The default setup is 12V. The advantage of the Heated Bed is that you can print ABS filament objects. As mentioned before, the downside is that this product has acrylic mounted plate for the bed and there might be chances of warp when the bed reaches high temperatures. The auto-leveling feature is not available with this Kit. Do it on your own. It is a learning experience and calibration is critical for smooth printing. LCD panel is not a part of this model. But there is a provision and SD slot to fix it on your own. LCD kits are available at Amazon or with the manufacturer. LCD panel helps you work directly without the need to connect to the computer always. You have the flexibility to work both on PC and Mac. It also supports Linux and Ubuntu 14. Repieter Host with instructions is default control software for this unit. You can also work with other programs like Cura, Pronterface. You can run this unit either with dual voltage 110v or 220v ( Power supply 360W 12 V 30A). If you are located in the US, you need not make any changes since it comes with an 110v standard USA wall outlet plug and cord. You can also adjust the input voltage through the switch provided on the side of the Kit. The Hot bed can reach up to 230-240 degrees C when you are printing with ABS without any issues. The outer dimensions of this unit are 17″ wide x 18″ deep x 15″ high and its shipping weight is about 20 lbs. You can place it on your desktop table without much clutter. • 8″ x 8″ Borosilicate heat bed glass. • All the necessary wires fitted with connectors. About 75% of consumers are rated 5 stars for this product in their reviews. Reviewers praised this product for the quality of printing, its performance, and outstanding customer service. Others valued that it was low-maintenance, requiring only periodic calibration. Of the critiques listed within the reviews, missing pieces were occasionally reported. This seemed true for almost all the other brands within this category of printers. All of the reviewers did mention, ReprapGuru quickly mailed replacements, and in some cases mailed replacements at no charge to people who accidentally damaged their printer during assembly. The price is competitive and matching with its other contenders of Prusa I3 clones. Your regular expenditure would be on Filament depending on your consumption. 1 Kg of the good quality filament spool cost you around $28. In addition to the cost of the 3D Printer, you might need to spend on Filament spool holder, LCD case, and an optional Fan mount. Other upgrade costs in future and accessories purely depend on your choice and budget which is optional. Take a look at below comparison table for Reprapguru close contenders. We consider three factors to recommend you to buy this product: Reliability, Lower Price and a Stellar Support from the manufacturer. It’s a lot of fun to assemble it. True, there might be some moments of frustration while you tinker with it. But that is how you learn about the process. Once you are able to set this up and get ready, it is a great feeling of joy start giving life to the models you like. Download the models from the websites. Print that fancy Key Chain or a beautiful Bracelet or an Action figure. Surprise your loved ones with these gifts – created by yourself.